Recently, I've become engrossed in an interesting visual novel by the name of Katawa Shoujo. (Also known as Disability Girls.) 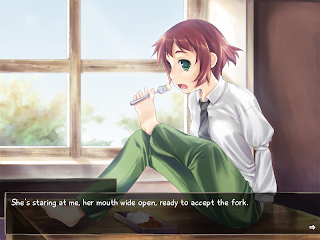 Unlike other visual novels, this one features girls who are all disabled in some way. ranging from somewhat common conditions, such as deafness or blindness; to other physical disabilities like lack of arms and legs, or skin disfigurations. 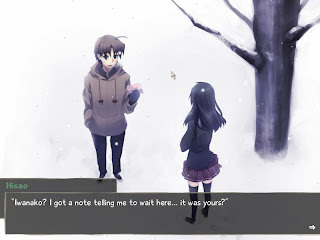 Coming from my background, I've never really had much experience with visual novels; only delving in simple ones such as Phantom Seeds. However, I decided to pick this one up as a starting point. For those who aren't familiar with the series, here's a quick summary of the characters. 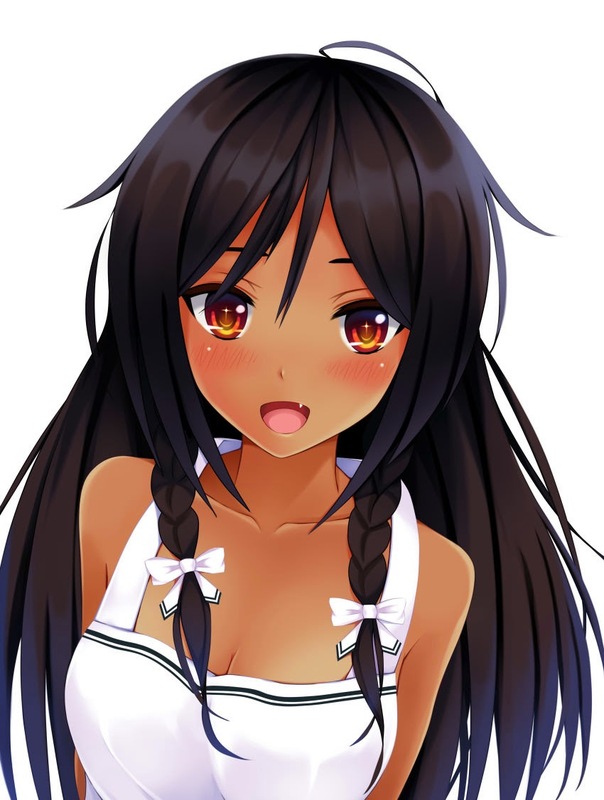 Hisao Nakai (Above) - The main character, also known as you. He's the generic average guy until his heart problem changes his life. He's forced to attend Yamaku High School due to his condition. Emi Ibarazaki - A short statured, cheerful girl who has prosthetic legs. Is very athletic, and is always running around. Friends with Rin. 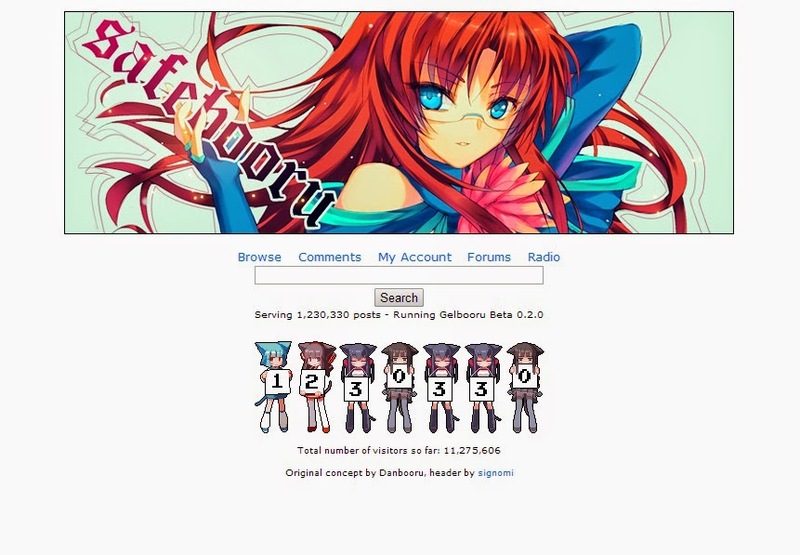 Shizune Hakamichi - Class representative, and deaf/mute. 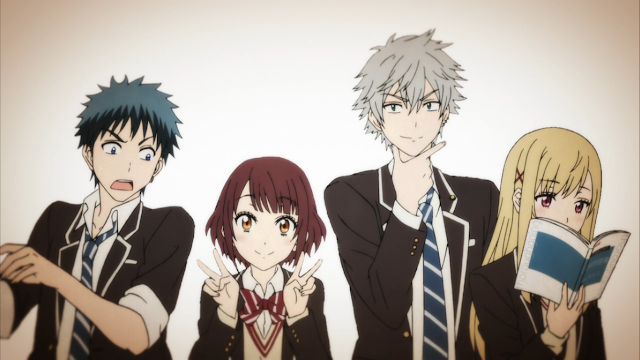 Also part of the student council. Speaks with sign language, with the help of Misha. Rin Tezuka - The "oddball." Has no arms, therefore wears a boys uniform and uses her feet to perform tasks. 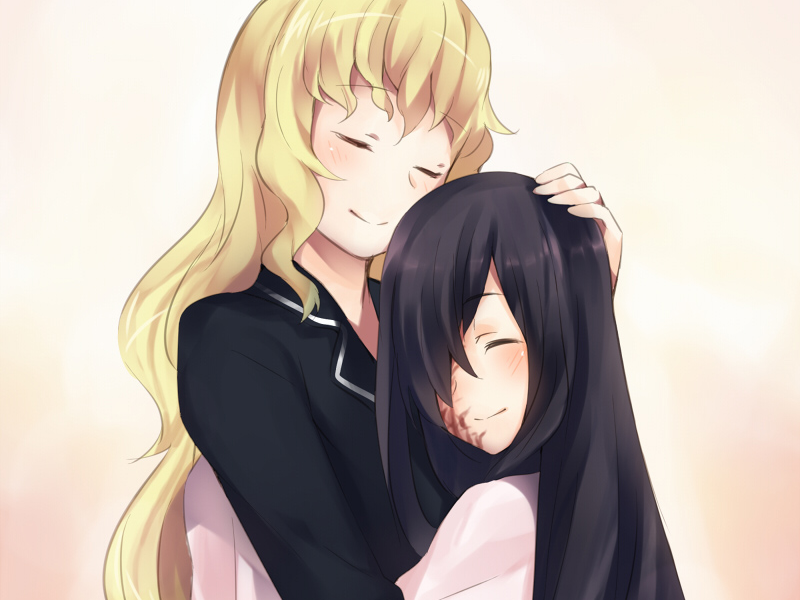 Hanako Ikezawa - Shy and a bookworm. Burn victim, uses her hair to hide some of her scaring. Friends with Lilly. 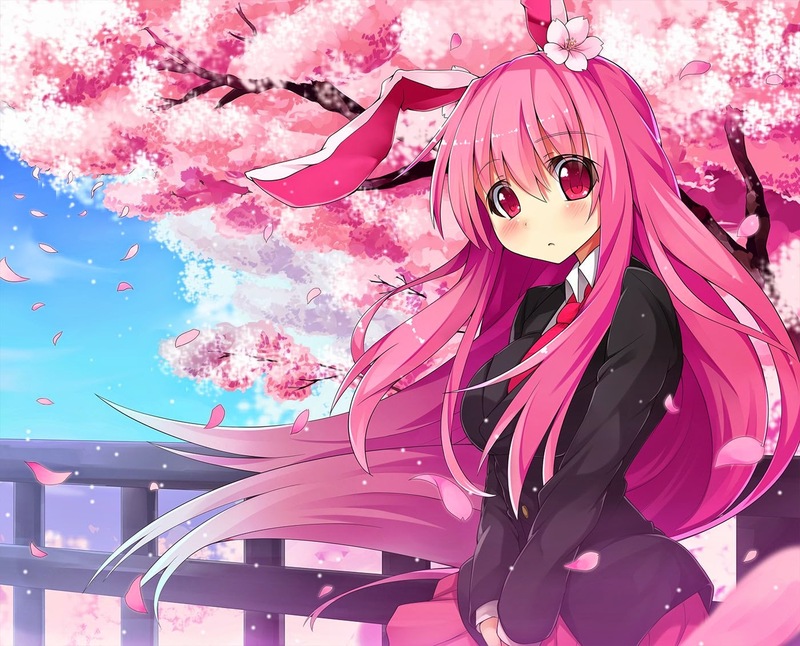 Lilly Satou - Blind, and class representative for the blind/troubled vision class. Tall and ladylike, giving off motherly vibes. Through the main character's interaction with these girls, he learns to become more comfortable with his unfamiliar surroundings. As the story progresses the disabilities become a thing of the past, and relationships emerge. 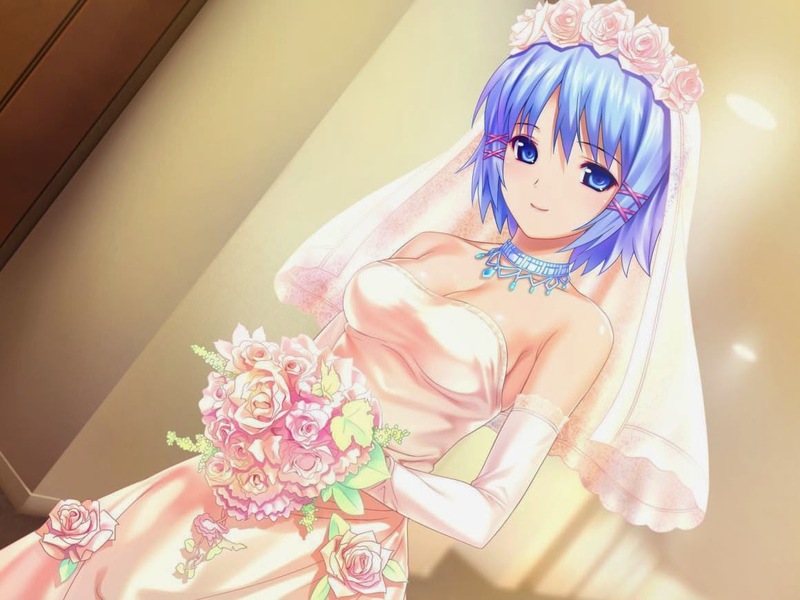 As I began to play, this visual novel became one of my favorites. I love the fact that the characters are so diverse, and differ from the norm. Anime characters are usually drawn to be perfect in a sense, so seeing characters that are blind, deaf, and missing limbs is quite the rare sight. One would think that such a disability would take away from the character, making development limited or lackluster. However, each character shines in such a way that one could completely disregard their disabilities. In fact, the characters grow by examining their own flaws, and making up for them in unorthodox ways. 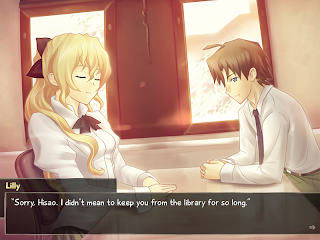 The artwork may not seem as defined as anime, but it is very high quality for a free visual novel. The series features fully animated cutscenes as well as beautiful images illustrating the most important events in full form. The helpful screenshot button allows anyone to make their own screencaps of their favorite moments. While there is no form of voice of the characters, this can either be seen as a hit or a miss. If you're an auditory person you may find it up to keep yourself involved in the story, as reading may become tiresome. 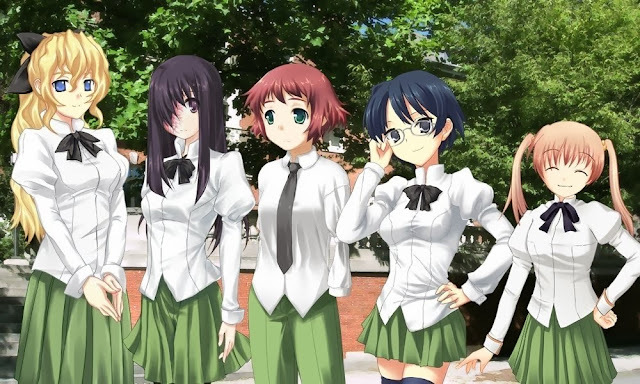 Experiencing Katawa Shoujo without the mere voice can also be an added benefit, as voices may not always fit as well as they should. For light readers or those who do not have an English first language, the game is available in others such as French, German, and Japanese. The story itself is well written, allowing a decent amount of input from the player in order to determine the turn of events. However, I feel that in some parts of the story, putting the decision making in the hand of the player would've been more beneficial, yet this is just a minor complaint. The story also features healthy doses of comedy, which help lighten the mood despite the health conditions present, ranging from Emi's constant clumsiness, Kenji's rants on feminism (Hisao's neighbor. ), to Lilly's impishness. The game also leaves the player with a good message, as the viewer soon sees each character's disabilities as something that could be considered "normal." I feel this is important in today's society, as disabilities shown in the game exist, and people who are disabled should not be mocked or disrespected. Instead, they should be treated like the rest of us as human beings. 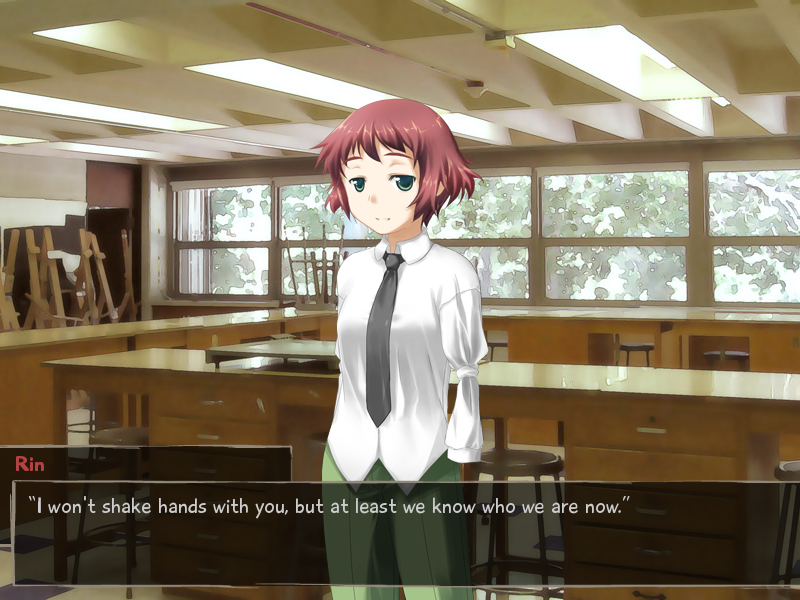 Katawa Shoujo seems to push this message to the audience. While the series being oddly unique may turn away people, it is worth a chance. It's free to download and can be found at it's official website. I encourage anyone reading to give it a try!